Log into Cash Manager Focus. 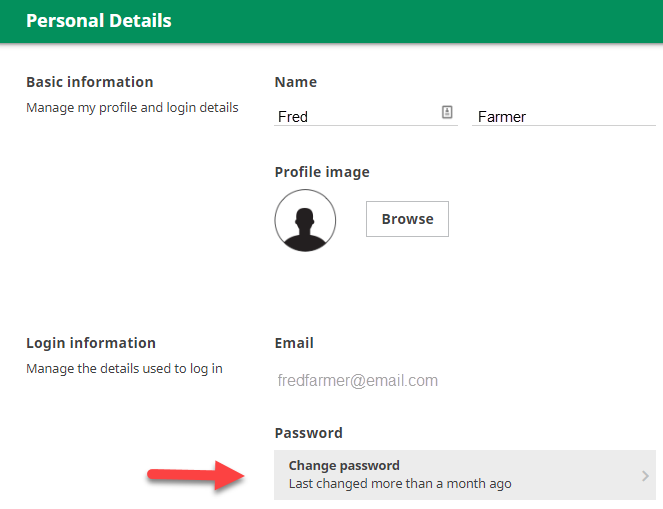 Go to your profile and select Personal details. Click on the box ‘Last change more than…’. Type both your current and new password into the fields provided.